Below are a few of the many peanut articles and research papers published between October, November and December 2018, which should be of interest to many members of the peanut industry -Enjoy! 2018. 4 Rules to Consider for Late-season Peanut Defoliation. Southeast Farm Press Exclusive Insight: N.PAG. 2018. DNA Test Finds Trace Amounts of Peanuts in Foods. American Laboratory 50: 8-8. 2018. UGA Extension Releases Updated Water-Saving Peanut Irrigation Checkbook Method. Plus Media Solutions. 2018. World Agricultural Supply and Demand Estimates. 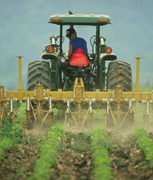 World Agricultural Supply & Demand Estimates: 1-40. Abad, L.V., F.B. Aurigue, D.R.V. Montefalcon, P.H. Manguiat, F.F. Carandang, S.A. Mabborang, et al. 2018. Effect of radiation-modified kappa-carrageenan as plant growth promoter on peanut (Arachis hypogaea L.). Radiation Physics & Chemistry 153: 239-244. doi:10.1016/j.radphyschem.2018.10.005. Abuagela, M.O., B.M. Iqdiam, H. Mostafa, L. Gu, M.E. Smith and P.J. Sarnoski. 2018. Assessing pulsed light treatment on the reduction of aflatoxins in peanuts with and without skin. International Journal of Food Science & Technology 53: 2567-2575. doi:10.1111/ijfs.13851. Abudulai, M., J. Naab, S.S. Seini, I. Dzomeku, K. Boote, R. Brandenburg, et al. 2018. Peanut (Arachis hypogaea) response to weed and disease management in northern Ghana. International Journal of Pest Management 64: 204. doi:10.1080/09670874.2017.1371806. Adeboye, A.S., O.E. Fayemi, A. Bamgbose, A. Adewunmi and S.S. Sobowale. 2018. Towards the development of peanut-wheat flour composite dough: influence of reduced-fat peanut flour on bread quality. Journal of Food Processing and Preservation 42: e13385-e13385. Agarwal, G., J. Clevenger, M.K. Pandey, H. Wang, Y. Shasidhar, Y. Chu, et al. 2018. High‐density genetic map using whole‐genome resequencing for fine mapping and candidate gene discovery for disease resistance in peanut. Plant Biotechnology Journal 16: 1954-1967. doi:10.1111/pbi.12930. Akram, N.A., F. Shafiq and M. Ashraf. 2018. Peanut (Arachis hypogaea L.): A Prospective Legume Crop to Offer Multiple Health Benefits Under Changing Climate. Comprehensive Reviews in Food Science & Food Safety 17: 1325-1338. doi:10.1111/1541-4337.12383. Amir, I., B.L. Gonçalves, D.V.d. Neeff, B. Ponzilacqua, C.F.S.C. Coppa, H. Hintzsche, et al. 2018. Aflatoxin in foodstuffs: occurrence and recent advances in decontamination. Food Research International 113: 74-85. Aravintharaj, R., R. Asokan, B.S. Pavithra and M.K. Reddy. 2018. First Report of Groundnut Bud Necrosis Virus in Pergularia daemia (Asclepiadaceae) in India. Plant Disease 102: 2671-2671. doi:10.1094/PDIS-02-18-0358-PDN. Banla, E.M., D.K. Dzidzienyo, I.E. Beatrice, S.K. Offei, P. Tongoona and H. Desmae. 2018. Groundnut production constraints and farmers’ trait preferences: a pre-breeding study in Togo. Journal of Ethnobiology and Ethnomedicine. Bansode, R.R., N.J. Plundrich, P.D. Randolph, M.A. Lila and L.L. Williams. 2018. Peanut flour aggregation with polyphenolic extracts derived from peanut skin inhibits IgE binding capacity and attenuates RBL-2H3 cells degranulation via MAPK signaling pathway. Food Chemistry 263: 307-314. doi:10.1016/j.foodchem.2018.05.007. Bera, S.K., J.H. Kamdar, S.V. Kasundra, P. Dash, A.K. Maurya, M.D. Jasani, et al. 2018. Improving oil quality by altering levels of fatty acids through marker-assisted selection of ahfad2 alleles in peanut (Arachis hypogaea L.). Euphytica 214 (9): 162 doi: 10:1007.s10681-018-2241-0. Bera, S.K., S.S. Manohar, M.T. Variath, S. Chaudhari, S. Yaduru, R. Thankappan, et al. 2018. Assessing variability for disease resistance and nutritional quality traits in an interspecific collection of groundnut (Arachis hypogaea). Plant Breeding 137: 883-894. doi:10.1111/pbr.12647. Bhagwat, N., G.P. Mishra, T. Radhakrishnan, S.M. Dodia, A. Suhail, K. Abhay, et al. 2018. High oleic peanut breeding: achievements, perspectives, and prospects. Trends in Food Science & Technology 78: 107-119. Boote, K.J., V. Prasad, L.H. Allen, P. Singh and J.W. Jones. 2018. Modeling sensitivity of grain yield to elevated temperature in the DSSAT crop models for peanut, soybean, dry bean, chickpea, sorghum, and millet. European Journal of Agronomy 100: 99-109. doi:10.1016/j.eja.2017.09.002. Calhoun, S., L. Post, B. Warren, S. Thompson and A.R. Bontempo. 2018. Prevalence and Concentration of Salmonella on Raw, Shelled Peanuts in the United States. Journal of Food Protection 81: 1755. Chen, T., J. Zhang, Y. Chen, S. Wan and L. Zhang. 2019. 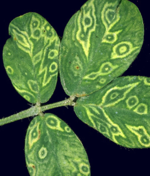 Detection of peanut leaf spots disease using canopy hyperspectral reflectance. Computers & Electronics in Agriculture 156: 677-683. doi:10.1016/j.compag.2018.12.036. Cheng, L., L. Dan, L. Lili, H. Shaoxin, X. Zhigang and T. Canming. 2018. Effects of Light-Emitting Diodes on the Growth of Peanut Plants. Agronomy Journal 110: 2369-2377. doi:10.2134/agronj2017.11.0674. Christman, L.M., L.L. Dean, C. Bueno Almeida and J.R. Weissburg. 2018. Acceptability of Peanut Skins as a Natural Antioxidant in Flavored Coated Peanuts. Journal of Food Science 83: 2571-2577. doi:10.1111/1750-3841.14323. Dauda, A.O., O.A. Abiodun, A.K. Arise and S.A. Oyeyinka. 2018. Nutritional and consumers acceptance of biscuit made from wheat flour fortified with partially defatted groundnut paste. LWT – Food Science and Technology 90: 265-269. Daudi, H., H. Shimelis, M. Laing, P. Okori and O. Mponda. 2018. Groundnut production constraints, farming systems, and farmer-preferred traits in Tanzania. Journal of Crop Improvement 32: 812-828. doi:10.1080/15427528.2018.1531801. Dieme, R.M.A., I. Faye, Y.A.B. Zoclanclounon, D. Fonceka, O. Ndoye and P.M. Diedhiou. 2018. Identification of Sources of Resistance for Peanut Aspergillus flavus Colonization and Aflatoxin Contamination. International Journal of Agronomy: 1. Diksha, S., A.N. Mathur and M.K. Shirshat. 2018. Use of de-oiled groundnut cake flour as an alternate source of nutrition. International Journal of Agricultural Engineering 11: 150-152. Dong, Z., Y. Li, X. Xiao, Y. Chen and X. Shen. 2018. Silicon effect on growth, nutrient uptake, and yield of peanut (Arachis hypogaea L.) under aluminum stress. Journal of Plant Nutrition 41: 2001-2008. doi:10.1080/01904167.2018.1485163. Elsorady, M.E.I. and S.E. Ali. 2018. Antioxidant activity of roasted and unroasted peanut skin extracts. International Food Research Journal 25: 43-50. Elysée, S.Y., C. Aminata and P. Donnen. 2018. Can blended flour recipes made of locally available and cheap ingredients be used for adequate complementary feeding of infants in rural settings in Burkina Faso? African Journal of Food, Agriculture, Nutrition and Development 18: 13171-13185. Ferezin, E., R.P. da Silva, A.F. dos Santos and C. Zerbato. 2018. Development of an electrohydraulic drive system for the vibrating conveyor belt of the peanut digger-inverter. PLoS ONE 13: 1. Figueredo, M.S., F. Ibanez, J. Rodriguez and A. Fabra. 2018. Simultaneous inoculation with beneficial and pathogenic microorganisms modifies peanut plant responses triggered by each microorganism. p. 353-361. Plant and Soil 433 (1/2): 353-361. doi: 10.1007/s11104-018-3846-8. Freisling, H., H. Noh, N. Slimani, V. Chajès, A.M. May, P.H. Peeters, et al. 2018. Nut intake and 5-year changes in body weight and obesity risk in adults: results from the EPIC-PANACEA study. European Journal of Nutrition 57: 2399-2408. doi:10.1007/s00394-017-1513-0. Garcia, D., N.S. Girardi, M.A. Passone, A. Nesci and M. Etcheverry. 2018. Effect of micro-encapsulated antioxidant formulations on mycobiota, residual levels, sensory analyses and insect pest attack in stored peanuts. International Journal of Food Microbiology 285: 158-164. doi:10.1016/j.ijfoodmicro.2018.08.022. Guo, Y., H. Hu, Q. Wang and H. Liu. 2018. A novel process for peanut tofu gel: Its texture, microstructure and protein behavioral changes affected by processing conditions. LWT – Food Science & Technology 96: 140-146. doi:10.1016/j.lwt.2018.05.020. Haire, B. 2018. Georgia’s peanut specialist takes a bet on crop. Southeast Farm Press 45: 4-16. Hart, J. 2018. Does Thimet have a place in North Carolina peanut production? Southeast Farm Press 45: 10-10. Hart, J. 2018. North Carolina’s new peanut breeder settling into job. Southeast Farm Press 45: 11-11. Hong-Wei, W., T. Meng-Jun, S. Chun-Lun, Z. Wei, X. Ri-Sheng, G. Yong-Xiang, et al. 2018. The Alleopathic Compound Luteolin from Peanut Litter Affects Peanut Nodule Formation and the Rhizosphere Microbial Community. Agronomy Journal 110: 2587-2595. doi:10.2134/agronj2018.03.0149. Hou, Y.-Y., O. Ojo, L.-L. Wang, Q. Wang, Q. Jiang, X.-Y. Shao, et al. 2018. A Randomized Controlled Trial to Compare the Effect of Peanuts and Almonds on the Cardio-Metabolic and Inflammatory Parameters in Patients with Type 2 Diabetes Mellitus. Nutrients 10: 1565. doi:10.3390/nu10111565. Jain, N.K., H.N. Meena, D. Bhaduri and R.S. Yadav. 2018. Drip fertigation and irrigation interval effects on growth, productivity, nutrient, and water economy in summer peanut. Communications in Soil Science & Plant Analysis 49: 2406-2417. doi:10.1080/00103624.2018.1510951. Jaramillo, D.M., J.C.B. Dubeux Jr, C. Mackowiak, L.E. Sollenberger, E.R.S. Santos, L. Garcia, et al. 2018. Annual and Perennial Peanut Species as Alternatives to Nitrogen Fertilizer in Bermudagrass Hay Production Systems. Agronomy Journal 110: 2390-2399. doi:10.2134/agronj2018.01.0036. Jenne, M., M. Kambham, N.V.K.V.P. Tollamadugu, H.P. Karanam, M.K. Tirupati, R.R. Balam, et al. 2018. The use of slow releasing nanoparticle encapsulated Azadirachtin formulations for the management of Caryedon serratus O. (groundnut bruchid). IET Nanobiotechnology 12: 963-967. doi:10.1049/iet-nbt.2017.0276. Ji, H., S. Dong, F. Han, Y. Li, G. Chen, L. Li, et al. 2018. Effects of dielectric barrier discharge (DBD) cold plasma treatment on physicochemical and functional properties of peanut protein. 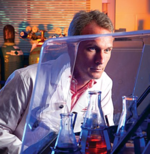 Food and Bioprocess Technology 11: 344-354. John, K., P.R. Reddy, T.C.M. Naidu and N.V. Naidu. 2018. Identification of Heterotic Crosses for yield and Water Use Efficiency Traits in Relation to Moisture Stress Tolerance in Groundnut (Arachis hypogaea L.). International Journal of Bio-Resource & Stress Management 9: 475-483. doi:10.23910/IJBSM/2018.9.4.3C0406. Kuhumba, G.D., A.H. Simonne and J.K. Mugula. 2018. Evaluation of aflatoxins in peanut-enriched complementary flours from selected urban markets in Tanzania. Food Control 89: 196-202. Larsson, S.C., N. Drca, M. Björck, M. Bäck and A. Wolk. 2018. Nut consumption and incidence of seven cardiovascular diseases. Heart 104: 1615. Launio, C.C., J.S. Luis and Y.B. Angeles. 2018. Factors influencing adoption of selected peanut protection and production technologies in Northern Luzon, Philippines. Technology in Society 55: 56-62. doi:10.1016/j.techsoc.2018.05.007. Li, J., Y. Tang, A.L. Jacobson, P.M. Dang, X. Li, M.L. Wang, et al. 2018. Population structure and association mapping to detect QTL controlling tomato spotted wilt virus resistance in cultivated peanuts. p. 516-526. Crop Journal 6 (5): 516-526. doi: 10.1016/j.cj.2018.004.001. Li, Y., R. Zhang, X. Qin, Y. Liao and K.H.M. Siddique. 2018. Changes in the protein and fat contents of peanut (Arachis hypogaea L.) cultivars released in China in the last 60 years. Plant Breeding 137: 746-756. doi:10.1111/pbr.12621. Liu, K., Y. Liu and F. Chen. 2018. Effect of gamma irradiation on the physicochemical properties and nutrient contents of peanut. LWT – Food Science & Technology 96: 535-542. doi:10.1016/j.lwt.2018.06.009. Liu, Z., F. Gao, Y. Liu, J. Yang, X. Zhen, X. Li, et al. 2018. Timing and splitting of nitrogen fertilizer supply to increase crop yield and efficiency of nitrogen utilization in a wheat–peanut relay intercropping system in China. The Crop Journal. doi:10.1016/j.cj.2018.08.006. Makau, J.N., K. Watanabe, M.M.D. Mohammed and N. Nishida. 2018. Antiviral activity of peanut (Arachis hypogaea L.) skin extract against human influenza viruses. Journal of Medicinal Food 21: 777-784. Mondal, S. and A.M. Badigannavar. 2018. Mapping of a dominant rust resistance gene revealed two R genes around the major Rust_QTL in cultivated peanut (Arachis hypogaea L.). p. 1671-1681. Theoretical and Applied Genetics 131 (8): 1671-1681. doi: 10.1007/s00122-018-3106-6. Nieuwenhuis, L. and P.A.v.d. Brandt. 2018. Total nut, tree nut, peanut, and peanut butter consumption and the risk of pancreatic cancer in the Netherlands Cohort Study. Cancer Epidemiology, Biomarkers & Prevention 27: 274-284. Njoroge, S.M.C. 2018. A Critical Review of Aflatoxin Contamination of Peanuts in Malawi and Zambia: The Past, Present, and Future. Plant Disease 102: 2394-2406. doi:10.1094/PDIS-02-18-0266-FE. Oteng-Frimpong, R., Y.B. Kassim, R. Danful, R. Akromah, A. Wireko-Kena and S. Forson. 2019. Modeling groundnut (Arachis hypogaea L.) performance under drought conditions. Journal of Crop Improvement 33: 125-144. doi:10.1080/15427528.2018.1542363. Pati, D.H., M.A. Shankar, N. Krishnamurthy, Y.G. Shadakshari and V.R.R. Parama. 2018. Studies on site specific nutrient management (SSNM) on growth and yield of groundnut (Arachis hypogaea) under irrigation in southern Karnataka. Legume Research: An International Journal 41: 728-733. doi:10.18805/LR-3928. Prostko, E.P. 2018. Auxin nozzles showing promise for use in peanuts. Southeast Farm Press 45: 17-19. Qi, P., H. Jiang, T. Wang, X. Chi, M. Wang, M. Chen, et al. 2019. Role of halotolerant phosphate‐solubilising bacteria on growth promotion of peanut (Arachis hypogaea) under saline soil. Annals of Applied Biology 174: 20-30. doi:10.1111/aab.12473. Quamruzzaman, M., M.J. Rahman, J. Uddain, M.D. Sarkar and S. Subramaniam. 2018. Leaf gas exchange, reproductive development, physiological and nutritional changes of peanut as influenced by boron. Journal of Plant Interactions 13: 306-314. doi:10.1080/17429145.2018.1475021. Rao, H., Y. Tian, W. Fu and W. Xue. 2018. In vitro digestibility and immunoreactivity of thermally processed peanut. Food & Agricultural Immunology 29: 989. Rocchetti, G., G. Chiodelli, G. Giuberti and L. Lucini. 2018. Bioaccessibility of phenolic compounds following in vitro large intestine fermentation of nuts for human consumption. Food Chemistry 245: 633-640. Ruan, J., F. Guo, Y. Wang, X. Li, S. Wan, L. Shan, et al. 2018. Transcriptome analysis of alternative splicing in peanut (Arachis hypogaea L.). BMC Plant Biology 18: N.PAG-N.PAG. doi:10.1186/s12870-018-1339-9. Sadh, P.K., C. Prince, B. Latika and J.S. Duhan. 2018. Bio-enrichment of functional properties of peanut oil cakes by solid state fermentation using Aspergillus oryzae. Journal of Food Measurement and Characterization 12: 622-633. Sahdev, R.K., M. Kumar and A.K. Dhingra. 2018. Development of empirical expression for the groundnuts drying inside a greenhouse. International Food Research Journal 25: 1858-1863. Salve, A. and S. Arya. 2018. Physical, Chemical and Nutritional Evaluation of Arachis hypogaea L. Seeds and Its Oil. Journal of Microbiology, Biotechnology & Food Sciences 8: 835-841. doi:10.15414/jmbfs.2018.8.2.835-841. Sanchez, J.M.D., J.M.B. Vendramini, M.L. Silveira, L.E. Sollenberger, J.C.B. Dubeux, P. Moriel, et al. 2018. Genotype and Regrowth Interval Effects on In Situ Disappearance of Rhizoma Peanut. p. 2174-2181. Sathiyabama, M. and R. Balasubramanian. 2018. Protection of groundnut plants from rust disease by application of glucan isolated from a biocontrol agent Acremonium obclavatum. International Journal of Biological Macromolecules 116: 316-319. doi:10.1016/j.ijbiomac.2018.04.190. Sharma, P., D. Sharma and A. Amin. 2018. Development of a functional fermented peanut-based cheese analog using probiotic bacteria. Biotechnologia 99: 435. Shore, D. 2018. He tamed the wild peanut and refined modern plant breeding. Southeast Farm Press Exclusive Insight: N.PAG. Sinclair, T.R., A. Shekoofa, T.G. Isleib, M. Balota and H. Zhang. 2018. Identification of Virginia-Type Peanut Genotypes for Water-Deficit Conditions Based on Early Decrease in Transpiration Rate with Soil Drying. p. 2607-2612. Smith, R.O.N. 2018. Precision breeding crucial to peanut yield trend. Delta Farm Press 75: 19. Sugizaki, C.S.A. and M.M.V. Naves. 2018. Potential Prebiotic Properties of Nuts and Edible Seeds and Their Relationship to Obesity. Nutrients 10: 1645. doi:10.3390/nu10111645. Sun, T., G. Li, T.-Y. Ning, Z.-M. Zhang, Q.-H. Mi and R. Lal. 2018. Suitability of mulching with biodegradable film to moderate soil temperature and moisture and to increase photosynthesis and yield in peanut. p. 214-223. Tan, S.-Y., S.L. Tey and R. Brown. 2018. 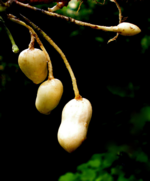 Can Nuts Mitigate Malnutrition in Older Adults? A Conceptual Framework. Nutrients 10: 1448. doi:10.3390/nu10101448. Tillman, B.L. and J.L. McKinney. 2018. Relationships among symptoms of spotted wilt disease of peanut and their potential impact on crop productivity and resistance breeding. Plant Breeding 137: 757-762. doi:10.1111/pbr.12638. Tseng, Y.C., B.L. Tillman, S.A. Gezan, J. Wang and D.L. Rowland. 2018. Heritability of spotted wilt resistance in a Florida‐EP™ “113”‐derived peanut (Arachis hypogaea) population. Plant Breeding 137: 614-620. doi:10.1111/pbr.12610. Wang, H.-W., M.-J. Tang, C.-L. Su, W. Zhang, R.-S. Xu, Y.-X. Guan, et al. 2018. The Alleopathic Compound Luteolin from Peanut Litter Affects Peanut Nodule Formation and the Rhizosphere Microbial Community. p. 2587-2595. Wang, X., K. Lien and M. Ling. 2018. Probabilistic health risk assessment for dietary exposure to aflatoxin in peanut and peanut products in Taiwan. Food Control 91: 372-380. Warsi, S. and G.N. Mbata. 2018. Impact of Peanut Depth and Container Size on the Parasitism of Diapausing and Nondiapausing Larvae of Indian Meal Moth (Lepidoptera: Pyralidae) by Habrobracon hebetor (Hymenoptera: Braconidae). Environmental Entomology 47: 1226. Wenxu, Z., D.B. William, G. Lissa and A.M. Julie. 2018. Phytosterol Composition of Arachis hypogaea Seeds from Different Maturity Classes. Molecules, Vol 24, Iss 1, p 106 (2018): 106. doi:10.3390/molecules24010106. Wright, G.C., M.G. Borgognone, D.J.O. Connor, R.C.N. Rachaputi, R.J. Henry, A. Furtado, et al. 2018. Breeding for improved blanchability in peanut: phenotyping, genotype x environment interaction and selection. Crop & Pasture Science 69: 1237-1250. doi:10.1071/CP18156. Wu, H., X. Liu, F. Wu and Q. Fu. 2018. Analysis of major nutritional components in red and black peanut sprouts. Acta Nutrimenta Sinica 40: 310-312. Yin, H.-Y., T.J. Fang, Y.-T. Li, Y.-F. Fung, W.-C. Tsai, H.-Y. Dai, et al. 2019. Rapidly detecting major peanut allergen-Ara h2 in edible oils using a new immunomagnetic nanoparticle-based lateral flow assay. Food Chemistry 271: 505-515. doi:10.1016/j.foodchem.2018.07.064. Yol, E. and B. Uzun. 2018. Influences of genotype and location interactions on oil, fatty acids and agronomical properties of groundnuts. Influencia de las interacciones del genotipo y ubicación sobre el aceite, los ácidos grasos y las propiedades agronómicas del maní. 69: 1-10. doi:10.3989/gya.0109181. Yu, R., Y. Ma, Y. Li, X. Li, C. Liu, X. Du, et al. 2018. Comparative transcriptome analysis revealed key factors for differential cadmium transport and retention in roots of two contrasting peanut cultivars. BMC Genomics 19: N.PAG. Zaiya Zazou, A., D. Fonceka, S. Fall, A. Fabra, F. Ibañez, S. Pignoly, et al. 2018. Genetic diversity and symbiotic efficiency of rhizobial strains isolated from nodules of peanut (Arachis hypogaea L.) in Senegal. Agriculture, Ecosystems & Environment 265: 384-391. doi:10.1016/j.agee.2018.06.001. Zhongzhi, H. and D. Limiao. 2018. Application driven key wavelengths mining method for aflatoxin detection using hyperspectral data. Computers & Electronics in Agriculture 153: 248-255. doi:10.1016/j.compag.2018.08.018. Zhou, W., W.D. Branch, L. Gilliam and J.A. Marshall. 2019. Phytosterol Composition of Arachis hypogaea Seeds from Different Maturity Classes. Molecules 24: 106. doi:10.3390/molecules24010106. Zurweller, B.A., A. Xavier, B.L. Tillman, J.R. Mahan, P.R. Payton, N. Puppala, et al. 2018. Pod yield performance and stability of peanut genotypes under differing soil water and regional conditions. Journal of Crop Improvement 32: 532-551. doi:10.1080/15427528.2018.1458674. 高忠奎, 蒋菁, 唐秀梅, 刘菁, 钟瑞春, 韩柱强, et al. 2018. 水旱轮作条件下花生品种筛选及土壤特性变化分析. (Chinese). Peanut varieties selection and soil properties changes under paddy-upland rotation. (English) 49: 2403. Journal of Southern Agriculture 49 (12): 2403-2409.